par Tipton, Scott; Tipton, David; Lee, Tony; Woodward, J.K. When the Federations most terrifying enemy strikes an unholy alliance with one of the Doctors most hated antagonists, the result is devastation on a cosmic scale! Spanning the ends of space and time itself, Captain Jean-Luc Picard and the crew of the USS Enterprise find themselves joining forces with the Doctor and his companions, with the fate of the galaxy hanging in the balance! 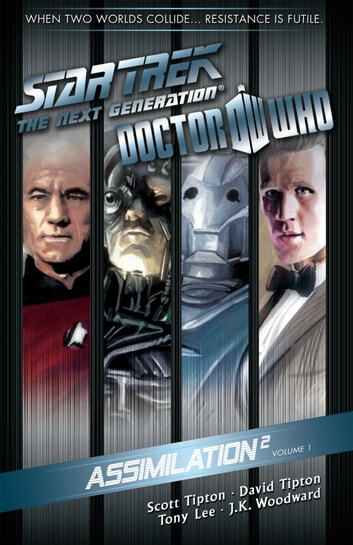 I wasn't sure how well this crossover would work, but the writing for both universes fits the characters well and there is a natural fit between the Cybermen and the Borg. Well worth a read and good value for money too. The previous reviewer, rip off is confused. Nook sells the 16 volume comic books for $1.99, while Kobo is selling the 2 volume graphic novels for $9.99. Granted that Nook also sells the graphic novels but buying the graphic novels will save you about $12 whichever place you buy it.